Scrutiny: Why we should lower our eyes, while we raise our hands to help others? Why we should lower our eyes, while we raise our hands to help others? Abdul Rahim Khan-e-Khana(अब्दुल रहीम खान-ए-खाना), who was one of the Navaratnas of Akbar's court was a great poet and an astrologer. 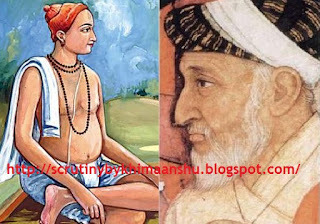 Although he was a Muslim, but he was known for his excellent Hindi couplets (Dohe) and a great devotee of Lord Krishna. He does lots of charity and used to give money and food to the poor and needy people. He was so generous that he never looked at the person to whom he was giving alms, keeping his gaze downwards in all humility. When Goswami Tulsidas came to know about this strange manner of giving alms to the poor. He wrote a couplet (Doha) and send it to Raheem. Aisi deni den jyu, kit seekhe ho sain? ऐसी देनी दें जू, कित सीखे हो सैन? Sir, from where have you learned this wonderful art of giving? As you raise your hands to give, you you keep down-casting your gaze. Denhaar koi aur hai, bhejat jo din rain..
Log bharam ham par kare, taase neeche rain.. The donor is someone else who gives day and night. People might get confused and mistake me as the giver, that's why I lower my eyes.